A true oasis and entertainment haven in quiet, desirable subdivision! 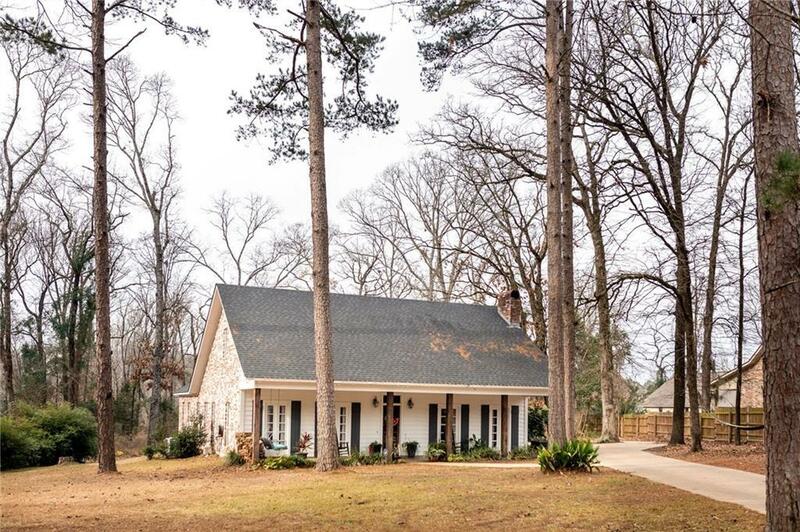 From the moment you drive up to this peaceful, tree lined street and yard until you are relaxing on the back patio while everyone enjoys the custom rock pool and outdoor dining, this Acadian style home will be your both your entertainment and tranquil dream! With 4BR, 3BA, 2871SF, large bonus/game room and sunroom/office overlooking the pool, this home as space galore! The open floorplan, beautiful brick floors, split bedroom design all welcome you with cool designer colors and elegant touches throughout. The kitchen has antiqued glazed cabinets, an eat in bar, stainless appliances opening to the dining and sunrooms. The master suite has a large bathroom with separate shower and large soaking tub overlooking the serenity of your backyard. One of the front bedrooms boasts beautiful french doors which lead to the front porch and view of the lovely front yard. Lots of closet space and storage, new AC and new roof! Directions: From Natchitoches, Hwy 6 Toward I-49. Turn Right Onto Hwy 3278 For Approximately One Mile, Turn Right Onto Kayla Dr. Home Is On Your Left.